Friday, December 1, 2017 – 1:00 P.M.
Everett Stevens, age 73, of the Slate Branch Community, passed from this life on Monday, November 27, 2017 at his home. He was born on March 21, 1944 in Willailla, Kentucky, son of the late Ondes and Eva Leona Whitaker Stevens. 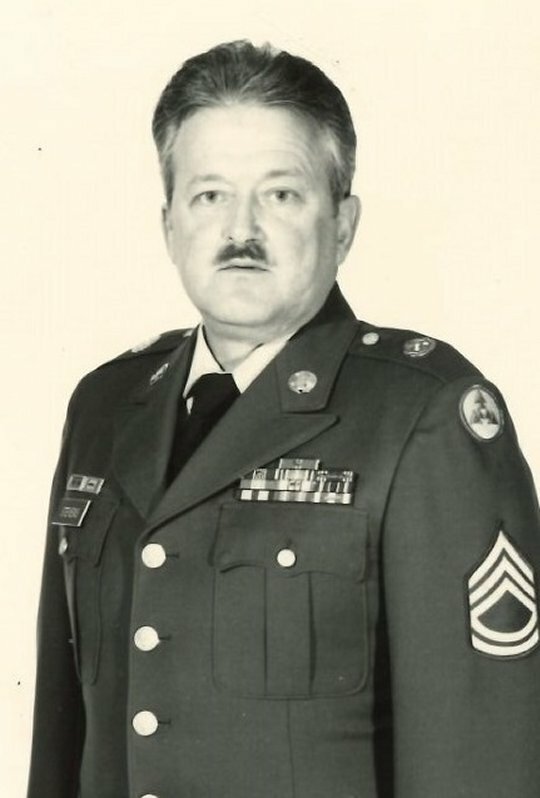 Everett was a member of the Liberty Baptist Church and a Veteran of the United States Army, having served his country for twenty-one years. He enjoyed fishing, camping, trading RV’s and loved the outdoors. Everett was a people person. He was also a Licensed Auctioneer and was the former owner and operator of Stevens Furniture in Somerset. He was preceded in death by his parents, a brother; Orville Stevens, sisters; Nadine Taylor and Wanda Todd, nephews; Rick Stevens, Danny Stevens, Alan Stevens and Gary Taylor, and a niece; Tonya Todd. He is survived by his wife; Connie Moore Stevens of the Slate Branch Community, a son; Robbie Stevens of the Slate Branch Community, brother; James (Maxine) Stevens of the Slate Branch Community, a nephew; Larry (Pam) Taylor of Brodhead, nieces; Debbie Mick, Pam (Mike) Harris, Ann (Ricky) Pitman, Vickie (Randy) Reynolds, sister-in-law; Helen Petrey of Somerset. He is also survived by several great-nieces and great-nephews, and special friends; Ron (Bena Faye) Winkles and family of Whitesburg, Tennessee. Visitation will be on Friday, December 1, 2017 beginning at 11:00 A.M. in the Chapel of Southern Oaks Funeral Home with funeral services to be held at 1:00 P.M. at the funeral home with Bro. Zandall Hasty officiating. Full Military Honors will be performed by the American Legion Post #38 Honor Guard. Southern Oaks Funeral Home is entrusted with the arrangements for Everett Stevens.